Gemstones are precious stones that have high value, used for making jewelry and other adornment. Most importantly, gemstones have healing qualities that make them have greater significance in the human history. In fact, gemstones play an important role in blending the physical beauty with spiritual wellness. 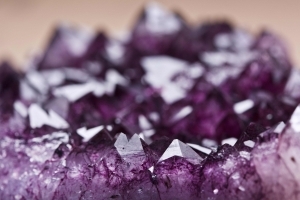 All gemstones contain a rare beauty because each gem contains a unique color, birthplace and history. Some gemstones have a long history while others are a latest addition to the gemstone category. Below are some of the rare gemstones colors. Amethyst gemstone has an ancient history because earlier civilizations like Greek and Roman believed that the stone had special powers. According to their traditions, this gemstone could repel intoxicating powers and help the wearer achieve inner peace and clarity. In addition, some cultures value this gemstone with great relevance to their religion. Amethyst gemstone possesses the beautiful rare gemstones colors because it complements warm and cool colors. It is a February birthstone. Alexandrite originated from Russia in 1830. Currently, you can find this gemstone in Sri-Lanka and East Africa. This gemstone is a June birthstone, and it is capable of changing colors. When exposed to the daylight alexandrite reveals a bluish mossy green color, and when viewed in lamp light, it shows red color with a raspberry hint. Therefore, if you want to enjoy the scientific magic of rare gemstones colors, you can change the environment. The value of this stone depends on the clarity of the color changes. Aquamarine means seawater and it brings out the beautiful sea color. It has a stunning sky blue hue, and it is a March birthstone. This stone possesses the power to bring tranquility, youth, health and fidelity. Furthermore, this stone is one of the rare gemstones colors that define its purpose. Its water and sky color means that it depicts eternal life. It has a soothing effect. This gemstone has various shades of blue, starting from pale pastel to a deep-sea color. The rarest aquamarine has a deep blue color, and it has the highest value. This gemstone has a green color, which signifies love and rebirth. It is a Venus gem and in the ancient culture, people used this gem to aid fertility. In fact, Cleopatra, who was an Egyptian monarch, loved to wear emeralds. In addition, Egyptians buried their mummies in emerald in order to signify youthfulness. It is a May birthstone and its value increases with the intensity of the green color. Interesting, emeralds is one of the rare gemstones colors that contains birthmarks. Typically, all the rare gemstones colors depict a significance healing properties, and people have used this stones to maintain the bond with Mother Nature. Gemstones contain dynamic energy, which can restore holistic wellness in a person. In this regard, people can incorporate the healing properties of gemstones into their beauty products.